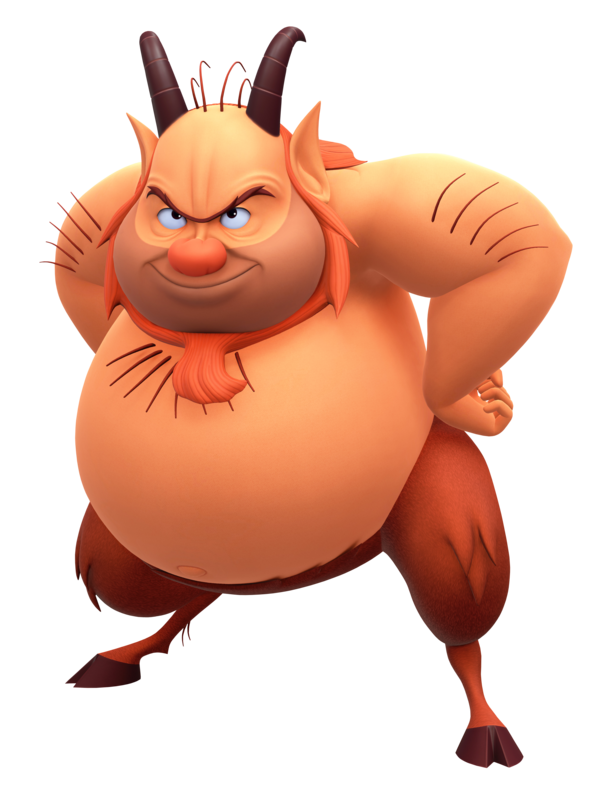 Philoctetes - called ‘Phil' - is the hero trainer to those who aspire to become so. He also runs the Coliseum. He can be seen as stubborn and short-tempered, but that is not to say he doesn't have moments of kindness. Phil is the first character that Sora and friends encounter in the world of Olympus Coliseum. Before Sora has time to say anything to a distracted Phil, Phil - who assumes that Sora is Hercules - tells Sora to move a stone pedestal from one side of the lobby to the other. When Sora says he's not able to, Phil realizes that it is not Hercules, and tells Sora, Donald, and Goofy that they can't enter the games because they aren't heroes. After Sora acquires passes to the games via Hades, Phil allows them to enter the games. Once Sora, Donald, and Goofy defeat Cerberus Phil - with much persuasion from Hercules - deems the three ‘Junior Heroes'. A legendary trainer of heroes. 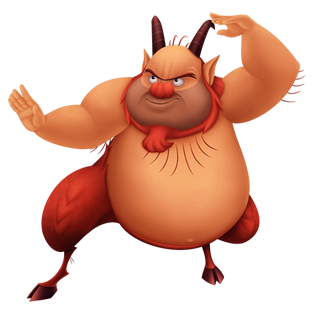 Philoctetes, or Phil for short, used to be retired, but when Hercules asked him to be his trainer, the untapped potential within the boy forced Phil back into active service. In the past, Phil gave Sora, Donald and Goofy the titles of Junior Heroes, claiming that while they have some talent, they still don't know what it takes to be a true Hero. Still believing that, Phil put the three through more training once they meet again, hoping it will help them in their battle with Hades. Not only a trainer but quite the Hero in his own right, Phil helped Sora battle the Hydra that destroyed the Coliseum, thus bringing an end to it. At the end, he was still reluctant to crown Sora, Donald and Goofy as anything more than Junior Heroes, but had little choice but to accept the judgment when the Gods of Olympus themselves accepted the three as proper Heroes and realigned the stars in the sky in the trio's image. Trainer of heroes and organizer of the Coliseum games, Phil's lifelong dream is for his trainees to be deemed as true heroes and for their images to be immortalized in the night sky. He is rather grumpy and tough on his trainees, but has their best interests at heart. Phil spends much of his time training Roxas, believing him to be Hercules's new apprentice candidate. 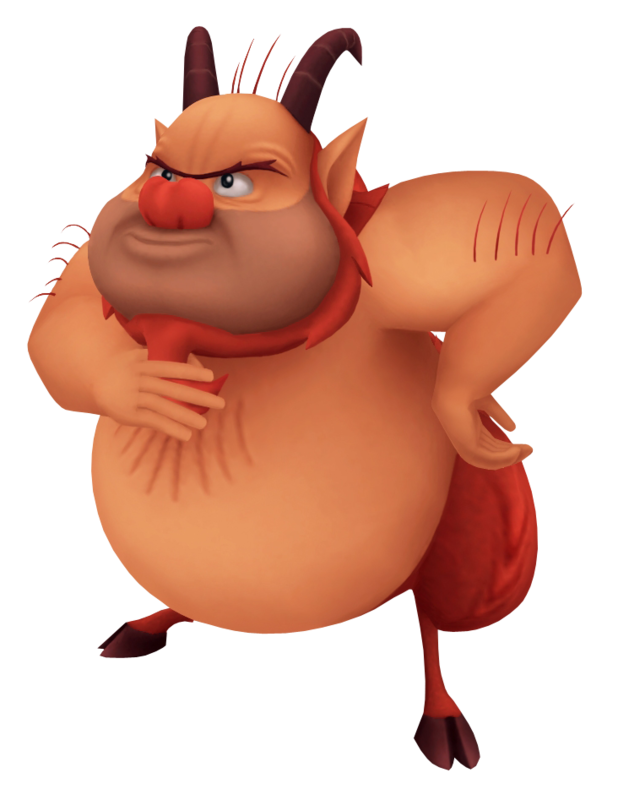 When he realizes his mistake, Phil does not remain angry at Roxas for long; seeing a potential in the Keyblade wielder, he welcomes him into the tournaments despite the earlier deception. Although he is willing to continue training Roxas, the two never cross paths again. A gruff satyr who's made a name for himself in the art of training heroes, accomplished and just would-be, he overlooks the grand coliseum that lies on the outskirts of Thebes. Although he had long since retired after being discouraged by countless failures, Hercules managed to persuade him to return to his true calling. However, there are times when he wishes he didn't have a reputation such as his own, attracting certain types of unwanted attention to himself. It was because of this that young Zack was able to hunt him down, seeking his knowledge and perception to teach him the ways of becoming a hero. Unbeknownst to him, Phil had no intention of coaching anyone besides Hercules, and instead used Herc's newfound rivalry with Zack to fuel the hero-in-training's burning passion, which had been dwindling out as of late. He is also known to have a weakness for pretty women, and shows no signs of hesitation to giving Aqua special treatment upon her arrival at the coliseum, confounding the two trainees with his behavior. 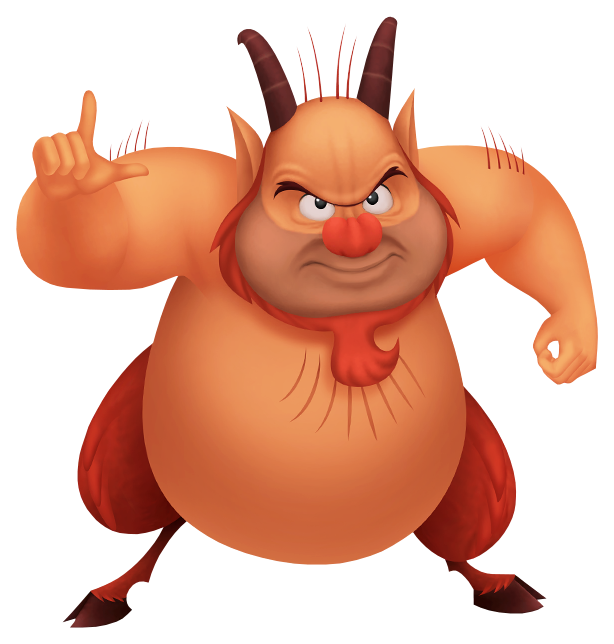 A trainer of heroes, Philoctetes has helped Hercules go from zero to hero. While counting isn't one of his strengths, he has a loyal heart and deeply cares for Hercules. He ridicules Sora for not having the strength of heart to be a true hero, however the gods of Olympus have come together to show support for Sora's achievements. While Hades begins his assault on Olympus, he travels with Megara and Pegasus to Thebes to help the citizens there.